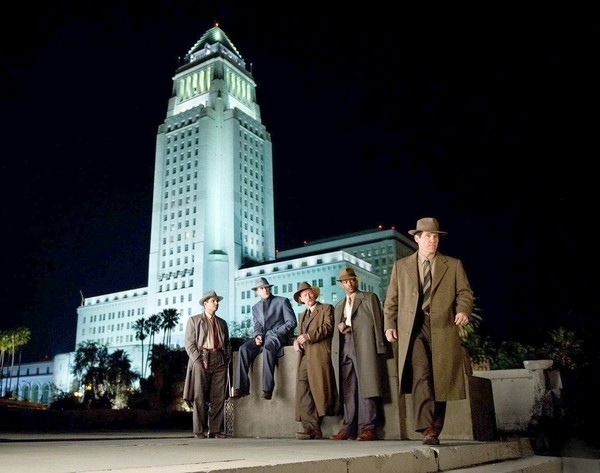 “Gangster Squad” First Look. | The Cineaste's Lament. ← New “Hunger Games” Image Released. Here’s your first look at the cast of director Ruben Fleischer’s upcoming “Gangster Squad.” The cast includes Ryan Gosling, Sean Penn, Josh Brolin, Emma Stone, Giovanni Ribisi, Nick Nolte, Michael Peña, Anthony Mackie, and Robert Patrick. If, like me, you’re a fan of classic film noir, then this one sounds like it could be a lot of fun. This entry was posted in action, Film News, Film Noir and tagged Emma Stone, Gangster Squad, Ruben Fleischer, Sean Penn. Bookmark the permalink.